This delicate and lovely tea pet, with four vivid pigs, will add lots of joys while your tea ceremony. 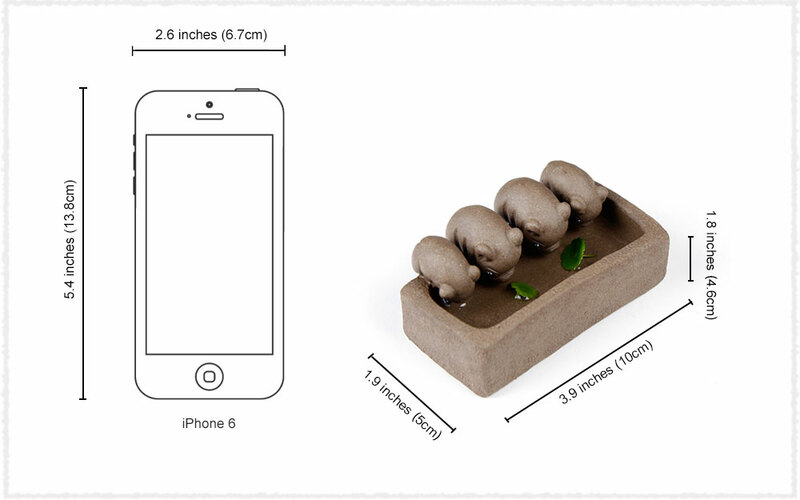 Many tea lovers would like to put some tea pets on their tea table for decoration and joy. Teavivre’s Four Drinking Pigs Yixing Zisha Tea Pet, with cute appearance, is made of Lao Duan Ni, which also symbolizes the happiness life and being abound in food. The four little pigs are like a family, fining food and water next to the sink. When look them closely, you will find their eyes bright and piercing. Due to the good breathability and water absorption, the tea pet will become smoother and shiny after nourished by tea liquid for some time. Warm Tips: Duan Ni clay has good breathability, so it cannot be used to grow hydroponic plants, or there may have seepage phenomenon. Lao Duan Ni is common seen in Huanglong Shan, Yixing, Jiangsu Province. Besides being used to make pottery, Duanni also can be grind into fine particles to be used to blend. Being burning Duanni will become yellow in color, with very small amount of red spots. 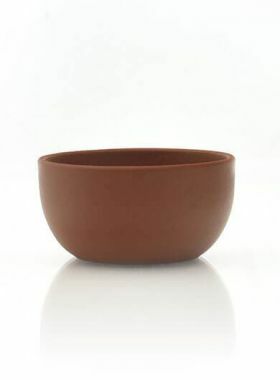 This kind of clay is of loosen and double air hole structure, that leads smooth cross-ventilation, which is commonly considered as one of the most breathable clays in Yixing.